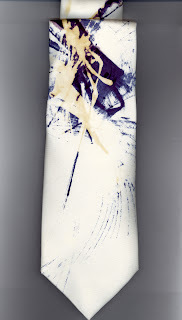 I have connected with two new manufacturers who I am hoping will make ties for me. Early days yet. Another decision I must make is to hand-roll edges or to hem. Nowadays, so few people hand-roll. Is it still exclusive. I had a comment recently that the hand-rolled edge did my design no favours. When I asked what she was comparing it to, she said a machine hem. Is this now the norm? Can I bring myself to machine finish my scarves? Watch this space. Hand rolling is an art, a love and it has to be beautiful. I have had huge hems with something like blanket stitch overlapping the edge. I have had scarves returned with paw prints, blood, grease, all irremovable stains. MY NEW SONY CYBER-SHOT BRIDGE CAMERA.